“LIVE AND DO EVERYTHING WITH INTENT"
Joseph DiMaggio. Born and bred in New York City, Joseph brings with him a unique personal journey into styling and a wealth of knowledge to go with it.Taking a somewhat non-traditional route to hairdressing success, Joseph started out as a touring professional drummer whose nights typically involved cramped vans, loud crowds and tours. It was there that he began exploring his true passion for hairstyling, giving his bandmates and willing concert-goers his signature DiMaggio cuts. Soon word of mouth spread and he decided to follow his dreams and newfound popularity and trade his drumsticks for clippers and shears, by pursuing formal training and dedicating every waking moment to mastering his new craft. Seeking mentorship in the vast and ever-changing world of styling and cutting, DiMaggio trained under master hairstylist Odile Gilbert who helped him shape his professional standpoint towards training. Championing this consistent education as the key to mastering the art of styling and cutting, DiMaggio developed a strong dedication to sharing his personal and artistic philosophies and experiences to motivate, inspire and improve the craft of his fellow artists. This lead Joseph to begin educating salons and academies in styling on both a national and international stage. 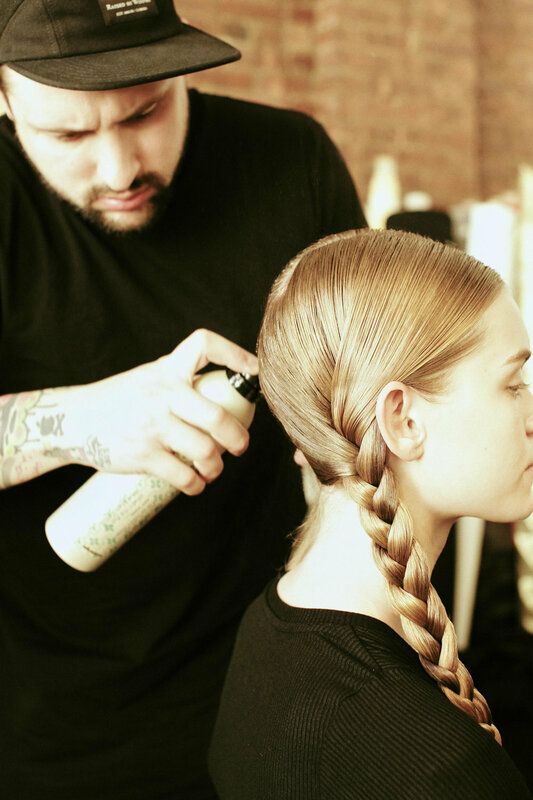 Joseph is right at home in the fashion and editorial worlds, working as an in-demand published editorial and session hairstylist. Working alongside top designers at New York Fashion Week, the seasonal trends he creates for the runway are also the foundation for much of his education curriculum. Joseph is also a frequent flyer in the truest sense of the word, travelling to style hair on location for editorial projects and photo shoots that are published frequently in famed fashion magazines globally.